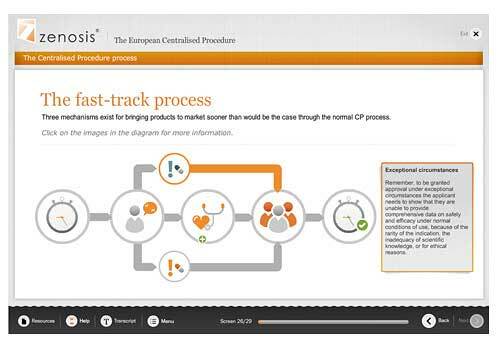 Zenosis® is a web-based, regulatory and compliance eLearning library for the medicinal products sector. 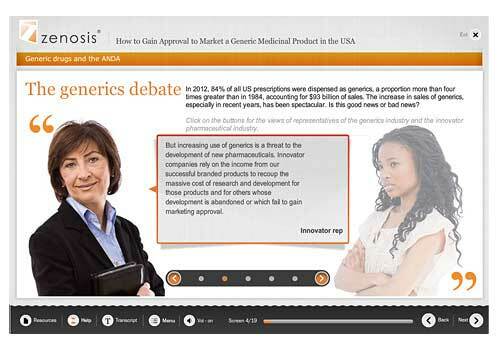 Compliance with regulatory requirements is essential for success in this heavily regulated sector, and the Zenosis® range of eLearning provides readily accessible, continually updated courses that enable pharmaceutical and biotechnology industry staff and healthcare professionals to meet the demands placed on them by a vast range of legal statutes, regulatory guidelines, and industrial or professional codes of practice. 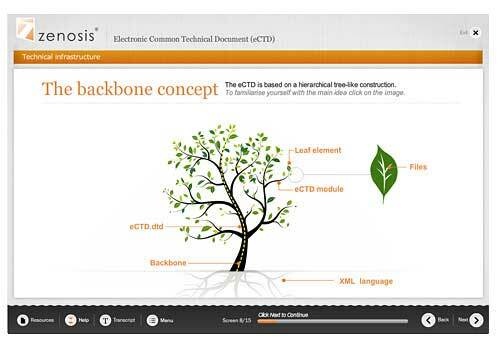 Zenosis® is available as a remote or integrated eLearning solution for any number of users requiring access. This eLearning provides a rapidly deployable training solution and is continually updated, providing vital knowledge that will enable your staff to comply with regulatory requirements and increase productivity. 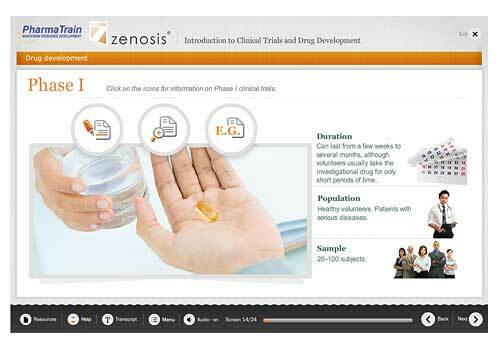 The Zenosis® courses feature high quality instructional design and expert content, and all Zenosis® modules are available “off-the-shelf” or can be tailored to fit your specific business-need. Recognising the importance placed by our clients on the integrity of our courses we seek independent recognition from subject matter experts, industry authorities and standards organisation’s to validate them. All Zenosis courses are accredited with Continuing Professional Development (CPD) points by the Faculty of Pharmaceutical Medicine of the Royal Colleges of Physicians of the United Kingdom. On completion of each course, learners earn CPD points in proportion to the course’s duration. The CPD points earned are specified on the certificate awarded to the learner on successful completion of the course’s multiple-choice-question assessment. Some courses are also approved by the Royal Society of Chemistry for purposes of CPD. Our courses on regulatory affairs and compliance cover the main submissions required for the development and marketing of medicinal products in Europe and the USA. 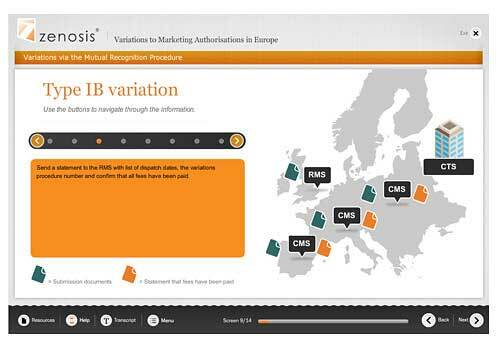 Please click here to view our suite of courses for Regulatory Affairs and Compliance. Our courses on clinical trials cover the design, set-up, monitoring and audit/inspection of trials. 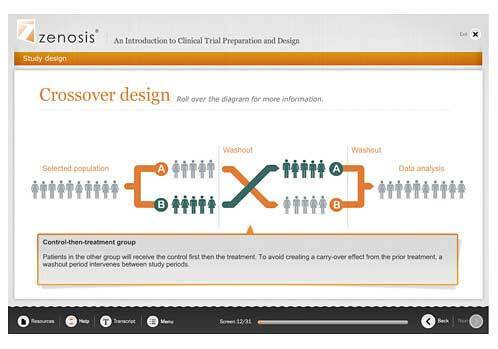 Please click here to view our suite of courses for Clinical Trials. Our courses on Good Manufacturing Practice, quality assurance and quality control provide essential training for manufacturing personnel in the pharmaceutical and biotechnology industries. Please click here to view our suite of courses on Good Manufacturing Practice. Our courses on drug safety and pharmacovigilance focus on key requirements in this increasingly tightly regulated field. 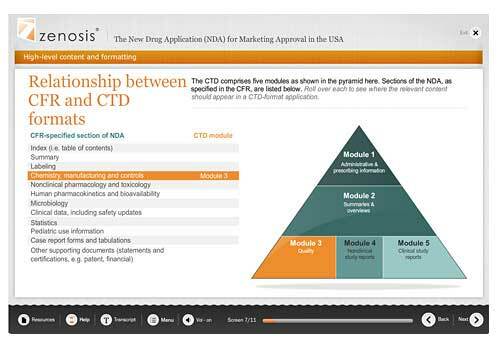 Please click here to view our suite of courses on Drug Safety and Pharmacovigilance.